Description: These NIPCON solenoid valve models are of a linear construction that is small, lightweight, and low cost. The NCK solenoid valve models are used in oil, water, and chemical applications. Every model in this series can be adapted for use with one of four different input voltages. 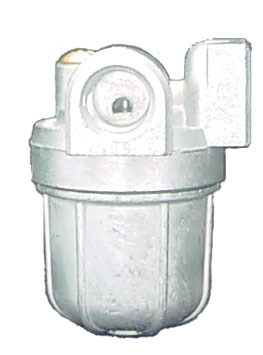 When there is no power to the solenoid, the valve is closed. However, when the solenoid is energized by its rated input voltage, then the valve is opened. Description: These miniature filter models are typically fitted to the intake pipe before an NIPCON solenoid pump and are designed to prevent damaging fluid contamination problems.